The aim of the work is to reconstruct the first stage in the evolution of ancient Greek ontology in light of the late-heideggerian concept of the event (ereignis). 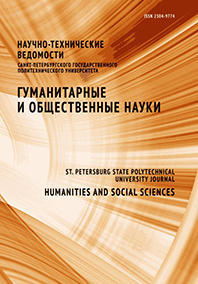 The study is based on the principle of unity of the historical and the theoretical. a combination of methods of dialectics, phenomenology, hermeneutics is used. The history of ontology is an essential element of the general history of philosophy. for its reconstruction, it is not enough to apply standard methods of historical and philosophical research based on the chronological sequence of private teachings; a non-trivial hermeneutics of the event is necessary here. The emergence of the ontology, as an act expressed in the word of thought about being, became precisely the event in antiquity that determined the intentionality of the subsequent history of philosophy. The event implies a timeless communication of its participants, its essence is a dispute about Being. from this point of view, history does not include many separate events, but, on the contrary, a single event allows history to come true as a whole process. The first manifestation of ontology was accomplished in the period from pre-socratics to socrates. The results may help a deeper understanding of the role of ontological knowledge in the evaluation of the driving forces of history.